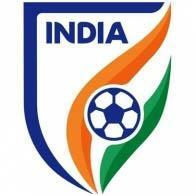 New Delhi, March 19 (IANS) The All India Football Federation (AIFF) has finally announced the vacancy of Head Coach for the India mens Senior and Under-23 Teams. Coaches with experience as the first team coach of the senior national team with experience of coaching in the World Cup and continental championship qualifiers with a minimum experience of 10 to 15 years will be preferred, the AIFF website said. The coach should also have a minimum of AFC/UEFA Pro liencse or its equivalent. According to the website, the head coach of the men's senior national team will report to the AIFF General Secretary and is accountable for the performance of the team during the term of his contract. The coach will work closely with the National Team Department, the National Team Director, Technical Director and the General Manager of Strategy and Operations to strengthen the position and performances of the team. The last date for receiving applications will be March 29, the statement said.